This class is ideal if you want to move on to agility. The class teaches shaping, and introductions to non-regulation agility equipment. There will also be some tricks and games at the end of each class. 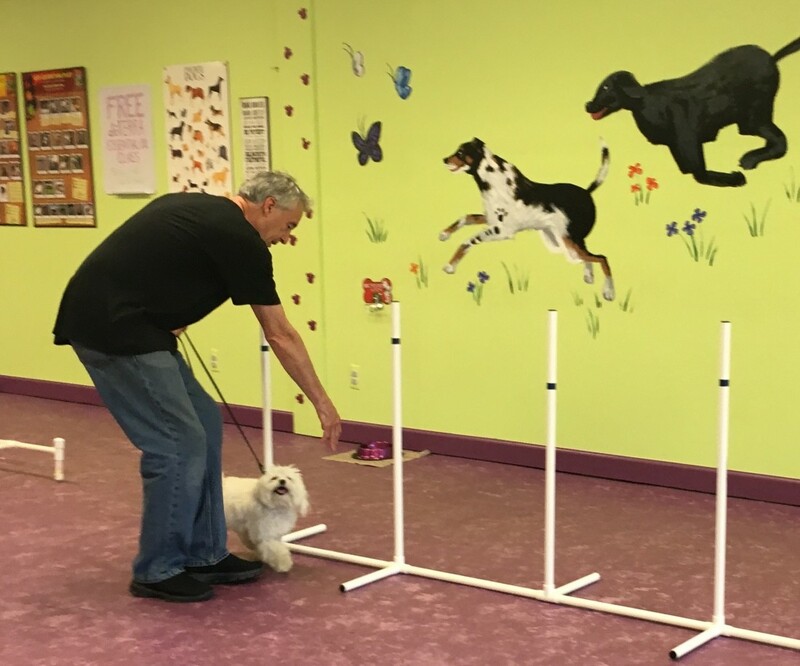 The class is also helpful for somewhat skittish dogs, it builds their confidence and owners learn the proper way how to desensitize their dogs to the equipment and other things the dog may encounter in life as well. Basic Obedience preferred, but a good understanding of sit-stay and down-stay is helpful. Dogs must not be overly reactive toward other dogs. The contents of this webpage are Copyright © 2019 Trust & Obey Pawsitive Dog Training. All Rights Reserved.